As odd as it may seem, the temperature of light is not fixed; in fact, it is possible to freeze light. The usefulness of this discovery did not go unnoticed in the scientific and manufacturing communities. As stated in the article “Physicists freeze light, propose optical CPUs”, the ability to lower the temperature of light makes quantum computing that much more feasible as well as practical. What I find most interesting in this revelation is that it coincides with energy cultivation concepts taught by Sifu Jones for years prior to this technological breakthrough. The idea of keeping my energy “cool” was an abstract concept that was particularly difficult to grasp. At the time, I had not realized that chi/electromagnetic energies have physical temperatures; nor did I realize the cause and effect relationship between “hot” chi and the physical manifestations of strained muscles, internal discomforts, and disruptive energies exacerbating interpersonal relationships. Furthermore, it was beyond my understanding that the human mind is capable of manipulating the temperature of objects, especially electromagnetic phenomena. With Sifu’s prompting and patient tutelage, I gradually came to know the truth expressed in the recent scientific discoveries via the use of my own mind. Immediately, the above mentioned negative side effects of “hot” chi subsided. The idea of lowering the temperature of the bio-electromagnetic energy I cultivate, however, was but the starting point. Chi, electricity, and light are electromagnetic phenomena that are hot at default settings. Through trial and error, we have all learned that, on some level, electricity burns. Light, given off from distant stars and fires, carries heat; too much [sun] light can lead to medical ailments, from a simple sunburn to heat strokes and more. When cultivating this energy with and for the body, it behooves the practitioner to cool this energy, as the body will be more receptive to it and the generation thereof. Functional magnetic resonance imaging shows that virtual reality actually reduces the amount of pain-related activity in the brain. The same incoming pain signal can be interpreted as more or less painful depending on what the patient is thinking. In addition to influencing the way patients interpret such signals, psychological factors can even influence the amount of pain signals allowed to enter the brain’s cortex. We found a significant positive correlation between the potency of the illusion—how strongly the subjects felt they were immersed in the virtual world—and the alleviation of their pain. Not only does the scientific data demonstrate Dr. Hoffman’s observation as truth, we instinctively know this from our real world experiences. 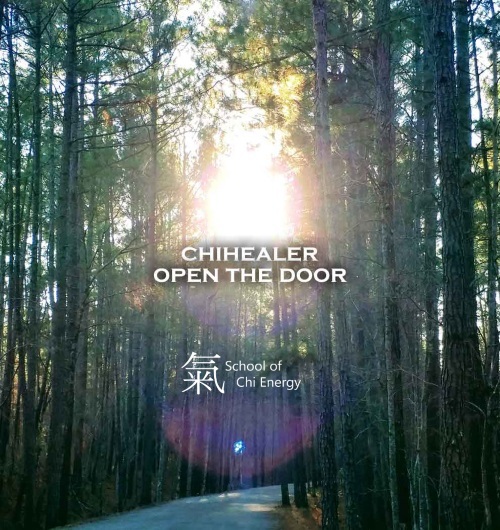 For many of us engaging in the cultivation of chi energy, the ability to imagine/visualize without the aid of advanced technology falls pathetically short when compared to the sophisticated virtual reality systems in use by Dr. Hoffman and his colleagues. With continued practice, things improve. So much so that, it is completely possible to not only change the temperature of the chi. As noted in other articles, the human brain is amazingly plastic; it morphs to better perform that which we tell it is important. The same is true here. Thru daily efforts in visualization techniques within this energy cultivation method, the brain repeatedly receives instructions as to what is important and as such, complies. The ability to visualize becomes second nature, and thru this ability, not only can the temperature of energy be changed, but a myriad of attributes and instruction given to the energy: how it feels; how it performs; what it does; how it behaves; etcetera. The ability to control chi to this level of detail is critical for successful upper level techniques, such as Remote Healing. So that the practitioner has the ability to reproduce these techniques, on command and on demand with consistent results, this method integrates the concept of cooling the temperature of chi from the very beginning. The building blocks to upper echelon abilities are encoded in every phase of this method and carefully laid out in the curriculum.